Pick any day that works for you to join us, or go on a different day if these days don't work for you! When you register online you will find our Pack listed as unit "3283". A Full Day of Fun in the Snow! Program at Phillippo starts at 9:15AM, the day runs through about 3:30PM. Meet at Bruegger's Bagels in Wayzata. Sign in 6:45 - 7:30AM, and depart Brueggers at 7:30AM sharp. Print and complete Health Forms and shooting sports waiver from above. Leaders will NOT be bringing Health Forms from prior Pack events. YOU MUST bring NEW health forms that can be left with camp staff at Phillippo. PLEASE COMPLETE forms prior to arriving at Brueggers to aid the check in process. We will not bring a supply of blank forms. Thanks for your cooperation in helping your leaders run this event smoothly for our Pack. 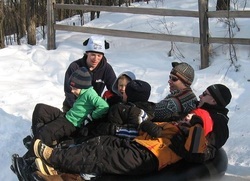 Activities: Polar Cubs include snow-tubing, broomball, obstacle course, winter nature activities, crafts, LEGO car racing, capture the flag, crafts, and more! 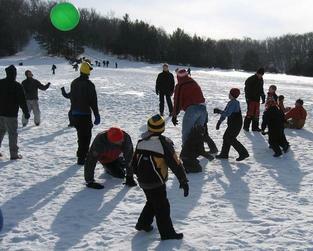 Scouts and parents will learn how to keep warm and stay dry in the snow and cold. 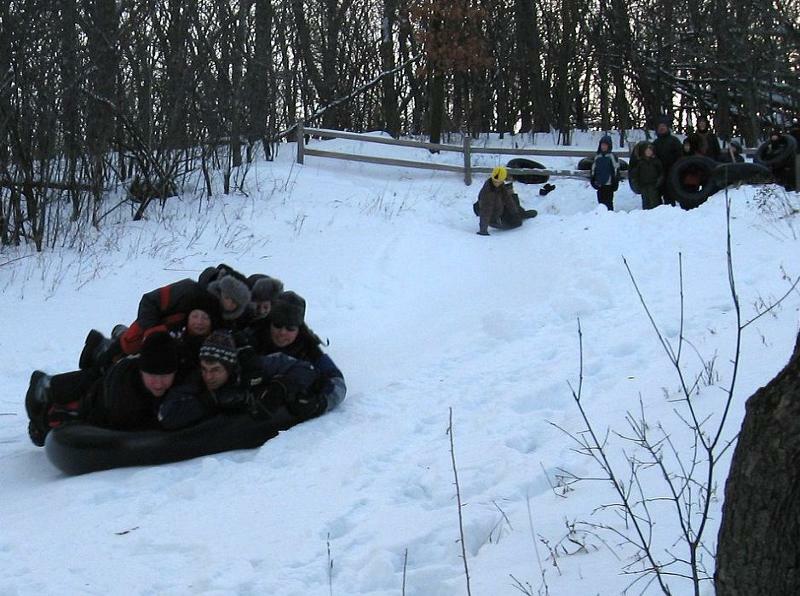 Webelos: there is a special Webelos program at Polar Cubs designed just for them to learn about winter survival, animals and outdoor sports. Adult Supervision: Lions and Tiger Cubs need one Adult per Cub. Older Scouts do not need 1:1 Adult:Scout coverage. Clothing: must dress in winter outdoor clothing. Dress in Layers! A second pair of gloves and socks highly recommended. Lunch: A hot lunch will be provided in the camp dining hall. This is a self-registration event; please register through the Northern Star Council. Go to Northern Star BSA Polar Cubs to register. 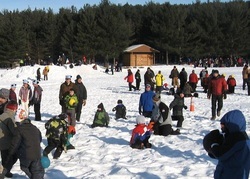 Find "2019 Polar Cubs at Phillippo Scout Reservation" under the "Register" tab, you can pick the day there that works for you. We currently have leaders committed to each of the three days listed above (January 13th - Cubmaster Parsons, February 10th - Tiger Den Leader Batz, March 3rd - Committee Chair Scheil) though you are welcome to go any day that works for your schedule regardless of whether we have 283 leaders there or not. Any questions please email us or ask us at a pack meeting! From St. Paul, take I-94 to US Highway 52 (Lafayette Bridge). Go south on US Highway 52 and continue to Minnesota Highway 19 (Cannon Falls/Northfield). Go west on Minnesota Highway 19 to 310th Street (see sign to Scout Reservation). Go north on 310th Street to Camp Main Entrance. Bring a non perishable food item! Northern Star Council wants to do its part to help the communities around our camps. As part of that effort, we will be collecting non-perishable food items at Polar Cubs. Bring your food item to the dining hall when you check in if you wish to participate. Last year Polar Cubs campers were responsible for collecting over 900 lbs of food-let's beat that this year!